The module can be configured to work in different channels. It adopts the high efficient looped interleaving EDAC (Error Detection and correction) coding with coding gain up to 3dB which keeps in advance in error correction and coding efficiency over normal FEC (Forward Error Correction) coding. 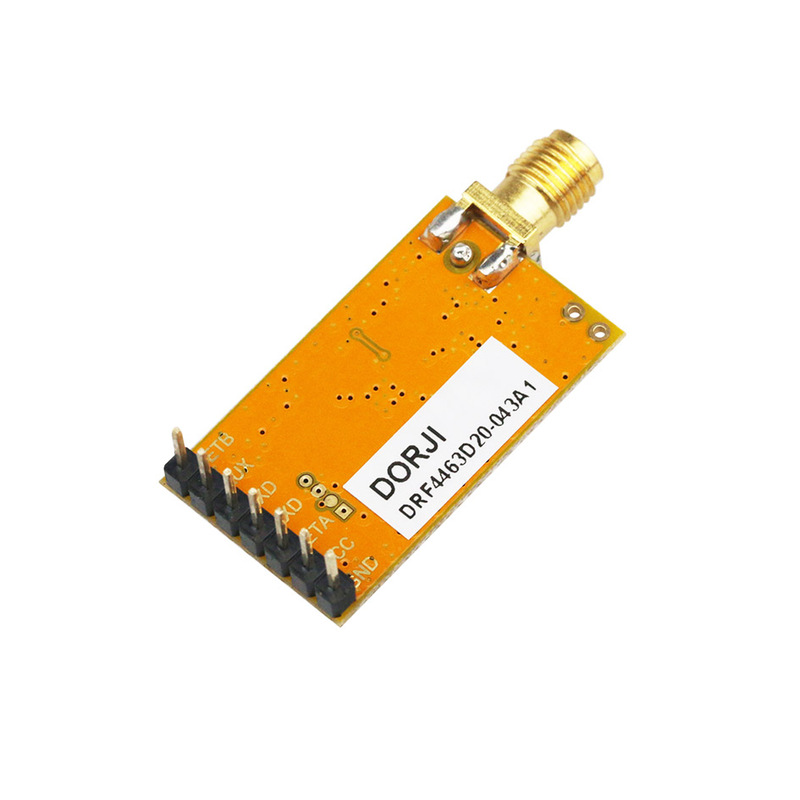 Because of its high reliability in correction, modules can filter error and fake information automatically and realize truly transparent wireless link, which makes DRF4463D20-A1 very suitable in the rigid communication environment. DRF4463D20-A1 integrates two 256 bytes buffer. When the buffer is empty, users can transfer nearly 256 bytes data per time and even limitless data transfer can be achieved as long as RF data rate is configured to be faster than UART data rate (MCU to RF module). 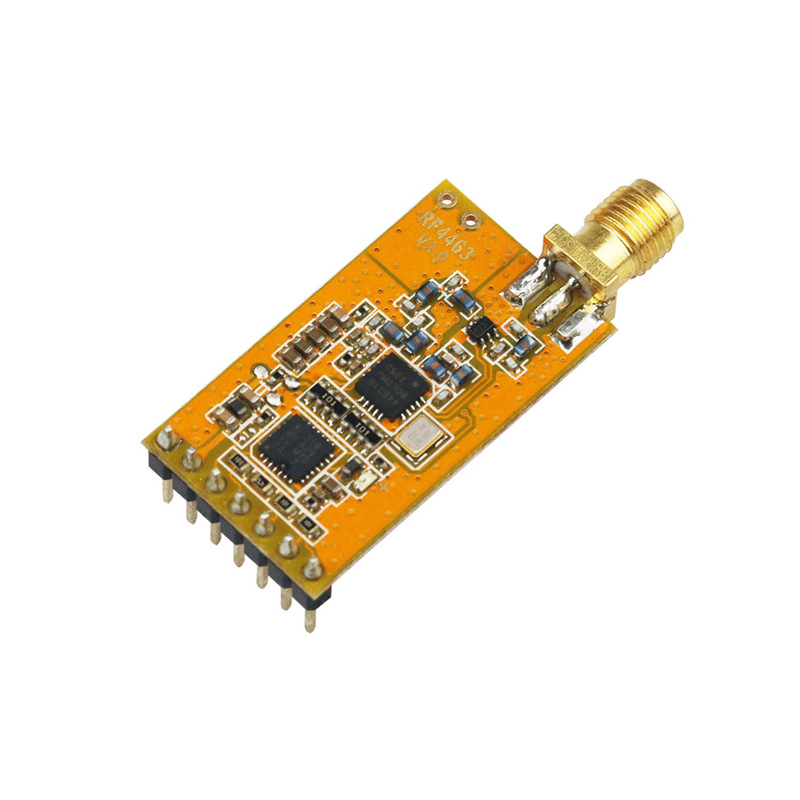 DRF4463D20-A1 provides standard UART/TTL interface. Users can choose seven data rates and three parity checks which make DRF4463D20-A1 possibly tailor-made for different applications. The module can work in four different modes which are very suitable for battery powered-up applications. DRF4463D20-A1 is a 3V module and it operates at 2.1~3.6V. DRF4463D20-A2 is a 5V module and it operates at 3.4~5.5V with low power consumption. Comparing to DRF4463D20-A2, DRF4463D20-A1 only has one LDO less so users can solder one LDO to change it to 3V module. In software the two types of modules are fully compatible.